Opinion: Dear Congress, Have you Got the Message? BJP's Ravi Shankar Prasad says it was "an election of hope." 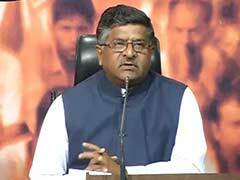 Self-goals reflect despair, says BJP's Ravi Shankar Prasad.